A suave and stylish hotel connected to the terminals. 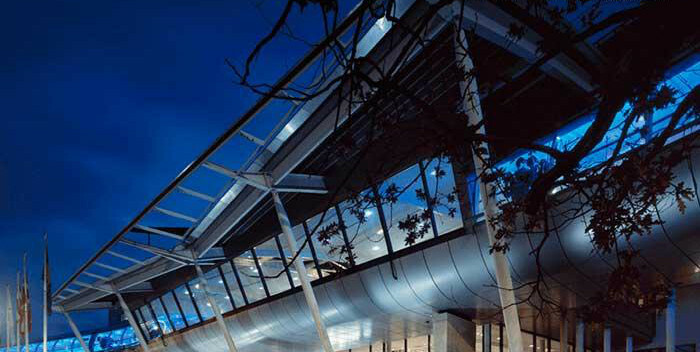 Enjoy the luxury of style and convenience at the Radisson Blu which is connected to Manchester Airport by a raised walkway. Make the most of every second of your holiday and enjoy views of the airport to get you ready for your time away. Enjoy life in the lap of luxury with a swimming pool and leisure facilities at the superb hotel. A swimming pool? At the Airport? That's right, you can swim before you fly at the Radisson Blu which has the quickest pool to plane time! I know that's what I look for in my luxury hotels. A few laps of this pool in its relaxing setting is a great way to get yourself ready for your holiday. ... head to the Collage Restaurant which offers a classic British Brasserie with a distinctive style and a welcoming atmosphere. Look out over the airport and the city as you dine on succulent steaks, smoked haddock and a host of delicious and delectable dishes; then top it all off with a bottle of wine from the wide range of of world wines. Really want to push the boat out and get that VIP experience? Order from room service which is available 24 hours a day and sample the delights from the comfort of your room. ... at the Little M bar which is decorated in bold colours and makes for a wonderful and stylish place to enjoy a light bite, or simply a few pre-holiday cocktails to get the holiday spirit flowing. Get away from it all with a beautiful country retreat. Our next offering is the delightful Mere Court country hotel commanding 7 acres of gorgeous grounds where you can unwind before you fly. 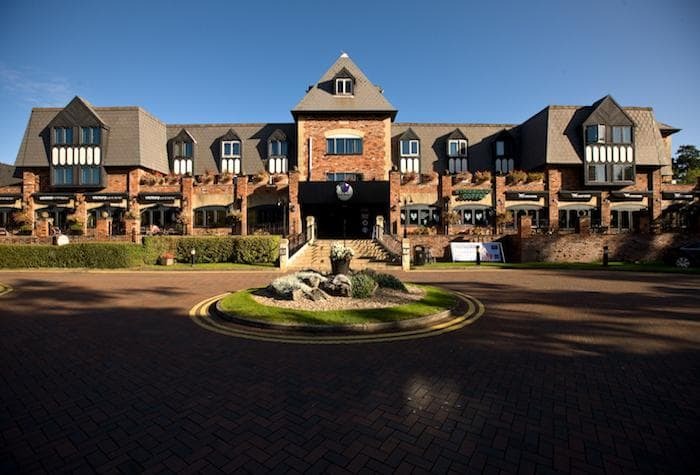 Take a turn about the gardens and enjoy a hotel where you can avoid the hustle and bustle with the advantage that you're just 10 minutes away from Manchester Airport. Enjoy an evening meal in the Arboreum Restaurant which serves a delicious and stunning menu of English dishes with a French twist. The rich decor and AA Rosette only go to enhance what is already a tantalising dining experience. Nestled amongst the original oak panelling and roof beams you can tuck into the sumptuous meals while you look out over the ornamental pond and fountain like the nobility you are! If you are looking for something a little more relaxed there's a lounge and bar that serves food and, of course, a pre-holiday tipple. Stay close to the airport and you'll barely have to move to get there, what could be easier? Opulence can be found in many places, it can be the comfort of a good night's sleep, the wealth of variety, or the luxury of convenience; or all three. With nearly 50 years experience at Manchester Airport the Crowne Plaza prides itself on plush bedrooms, plenty of dining choices and within walking distance of the terminals. They really have thought of everything; low on cash? There's a cash machine opposite reception. Full of excited holiday energy? Burn it off in the on-site health centre with its cardiovascular equipment. Looking to treat yourself? There's a sauna and spa where you can melt your stress away. ... whether you choose to eat at Sampans, the Pan Asian restaurant, The Grill with an impressive 8 types of steak, or Callaghan's Irish bar for a lively and fun night in a traditional Irish bar. You can find gluten free, vegetarian, vegan and lactose free meals so whatever your needs, the Crowne Plaza is ready to meet them. ... the rooms at the Crowne Plaza are spacious, comfortable affairs with all the mod-cons you need to relax before you fly, but it's the extras where the extra care and attention of the Crowne Plaza really shines through. In every room you'll find the Crowne Plaza Sleep Advantage Program; a selection of different pillow types as well as some soothing aromatherapy oils to help you get a relaxing sleep. A boutique hotel set in its own grounds is a great place to unwind. Or, might we suggest, the Hallmark Hotel? Having undergone a recent transformation the Hallmark is now a glamorous, boutique-style hotel where you can get a luxurious stay before you fly from Manchester Airport. As well as the luxury and comfort of your rooms you can enjoy the fantastic leisure club complete with swimming pool, jacuzzi and steam room. ... for a delicious evening meal from their range of classic dishes including specials served Monday to Friday and plenty of vegetarian, vegan and gluten free options. You can even get a 3-course add on for an even more luxurious night. In the evening retire to your stylish room where you can unwind in comfort on your plush bed and enjoy some light entertainment on the in-room TV. The dark wood furniture brings a real touch of class to the rooms and makes it feel like a night in a country manor. A picturesque red-brick country manor with parts dating back to the 16th century. Speaking of country manors, the Stanneylands Hotel is just that. Comfortably nestled in its own grounds and surrounded by acres of farmland, this red-brick manor house is a wonderful place to stay the night before your flight. 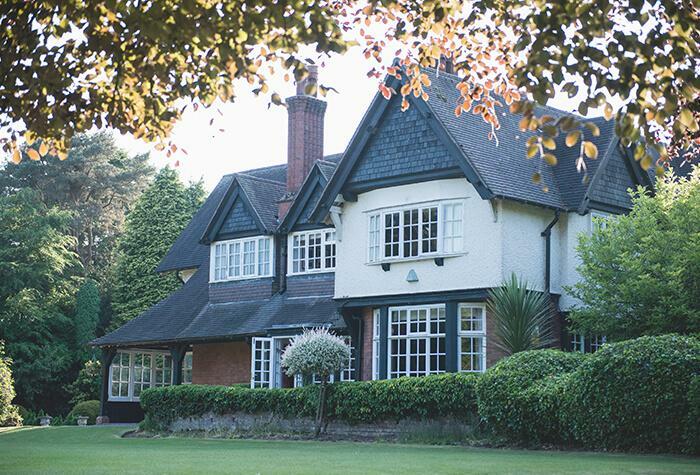 The modern, British cuisine at the Stanneylands Hotel is something truly special with two AA rosettes for choice and quality making dining here an experience not to be missed. With fine, elegantly presented dining, you can be sure that your meal at Stanneylands will be something to get your holiday heading in the right direction. ... at Stanneylands Hotel where the roots of this building combine with newer additions and plush, modern styling. The overall effect mixes ornate decor and contemporary design to create tranquil rooms where you can enjoy the calm of this stunning location. This hotel complex provides everything you need from relaxation to activities to pass the time. 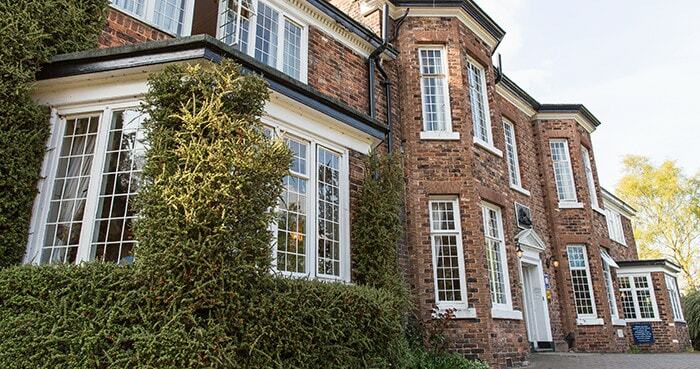 Cheadle Village Hotel is a modern complex offering everything you could need, and more. Get VIP treatment with an on-site gym, pool, sauna and spa and make sure you are as relaxed as possible before you travel. Worried about missing your favourite coffee? No need, there's a Starbucks on-site too. This hotel has gone to great lengths to provide everything you could need to feel like your holiday has started a day early. The Verve Grill restaurant provides a huge range of meals that will keep everyone happy including vegetarian, vegan and gluten-free options and a kids' menu. In The Village Pub bar you'll find light snacks as well as a variety of pub grub and drinks should you fancy a little tipple to celebrate the start of your holiday. 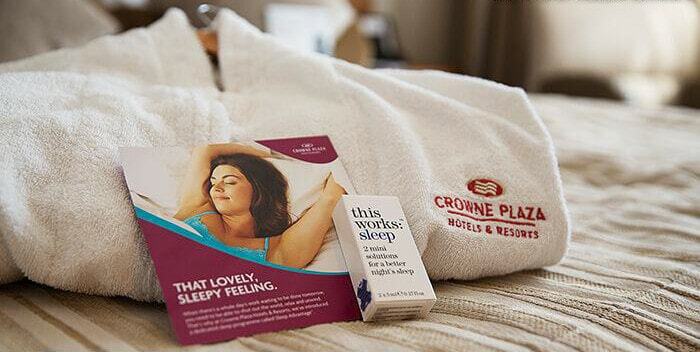 ... in the rooms at the Cheadle Village hotel; comfortable spaces with large beds that you can sink into! The low lighting gives the rooms a calming feel which will make drifting off to sleep the easiest thing and there are plenty of in-room facilities to make sure you are wanting for nothing.